This week I finished my very first quilt! 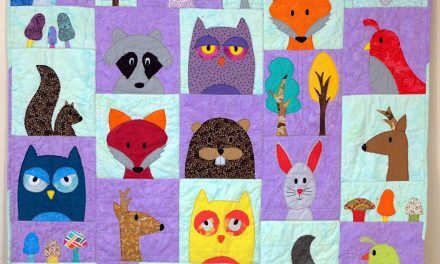 This is called the Peek-A-Boo Bear quilt designed by Wendi at Shiny Happy World. (Check out her site for fabulous patterns and tips.) I used the QAYG (Quilt as You Go) method and the back of the quilt is made with cuddle fleece. This quilt is SO WARM and SOFT! 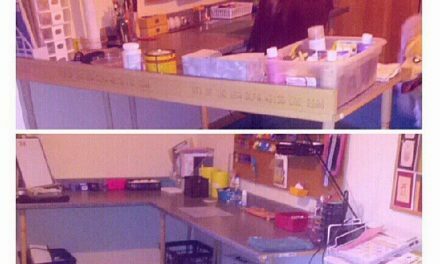 I made the one pictured below and at the same time made a second one, with one extra row to make it a tad longer. The second one will be a gift for my granddaughter for Christmas, and this one is a gift for another tiny little girl. The bottom right block that is folded over to show the backing has her name embroidered on it. Laila’s favorite color is blue, so that’s why the backing is blue instead of pink or purple. 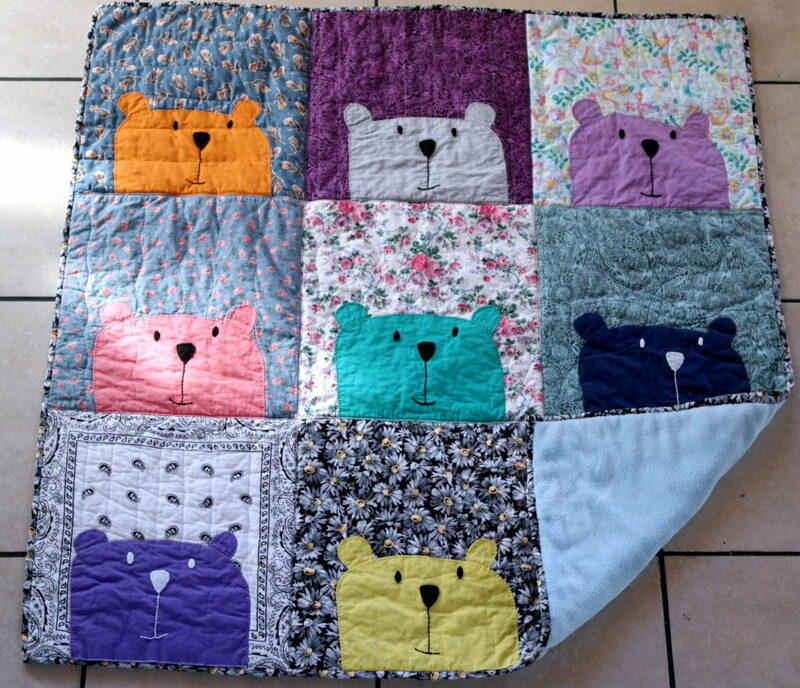 You can see Laila’s bear quilt here.